Jakarta which is the capital city of Indonesia is also known as a crowded city, stuck, and has little natural attractions. The city of Jakarta holds a lot of history, so there are various historic sights that you can visit in this city. One of the famous historical attractions in Jakarta is the National Monument (Monas) or the Old City. But who would have thought this super-dense city also has the potential of a beautiful beach attraction. 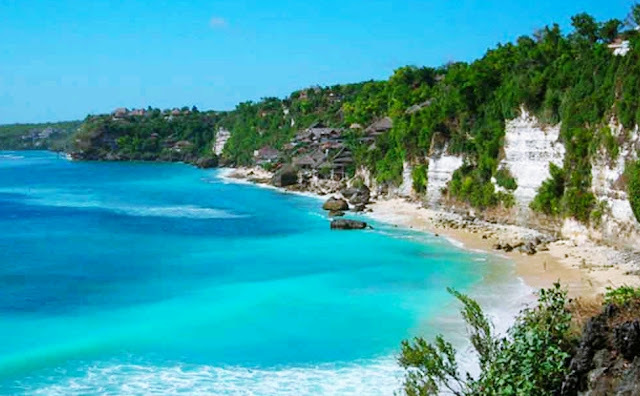 There are many beaches in Jakarta and surrounding areas that are beautiful and interesting to visit. Want to know what are the famous beaches in Jakarta. Check out the following reviews. Ancol is one of the iconic beach rides in the city of Jakarta. One of the most famous tourist attractions do not be surprised if many visitors who come from outside Jakarta or from within the city come to Ancol. 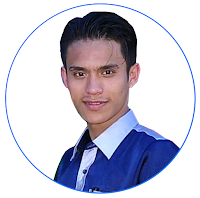 Although the Thousand Islands are separated from the island of Java, but the thousand islands including parts of the province of DKI Jakarta. An archipelago of about 108,000 hectares is home to many exotic destinations that you must visit such as Pulau Tidung, Pulau Pramuka, Pulau Pari and Pulau Harapan. Thousand Islands which is 45 km from the north of Jakarta is not only has a beautiful sea surface, but also interesting in the sea tour to explore. 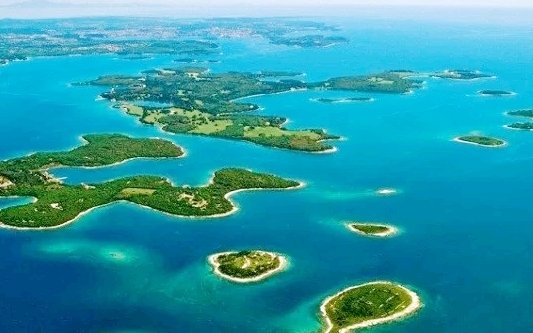 Angel Island is one of the islands located in the Thousand Islands. To be able to arrive at coastal attractions around Jakarta, can be through the dock Marina in Ancol Dreamland Park by way of speed boat ride for approximately 30 minutes. Characteristic of this island is to have white sand and clear blue sea water. In Bidadari Island there are terrestrial cottages as well as floating cottages that are often chosen by tourists as a place to spend the weekend. Not only that, beautiful scenery and beautiful also very suitable to perform various activities of sports such as water sports, cycling or just relaxing enjoy the beautiful blue sky and sunbathing under the hot sun. Still in the Thousand Islands, Pulau Tidung offers a blend of white sand beaches and calm seas that are suitable for you who want a peaceful atmosphere. 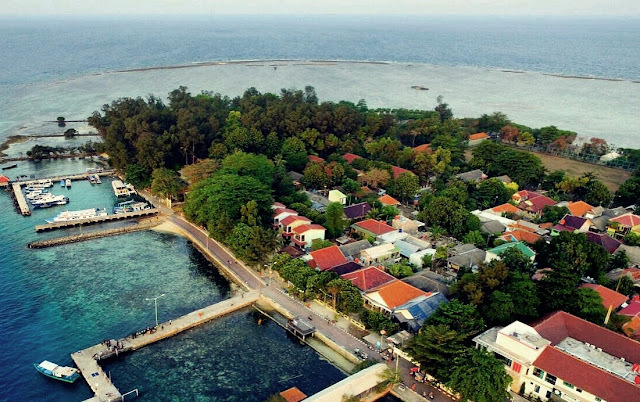 Tidung Island is divided into 2 namely Tidung Besar and Tidung Kecil which both are connected with a bridge called Jembatan Cinta. 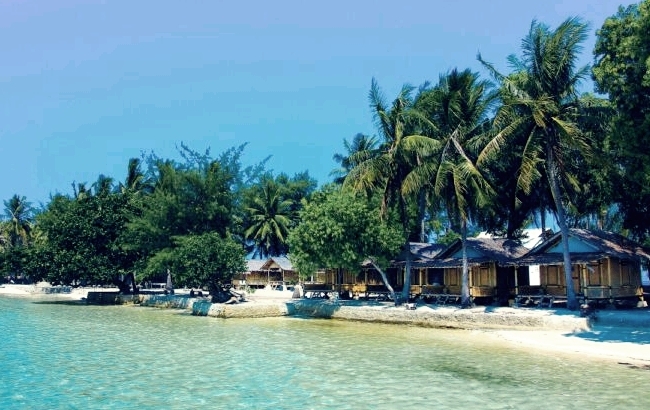 In Pulau Tidung Besar there is a population with the largest number of islands located in the Thousand Islands. 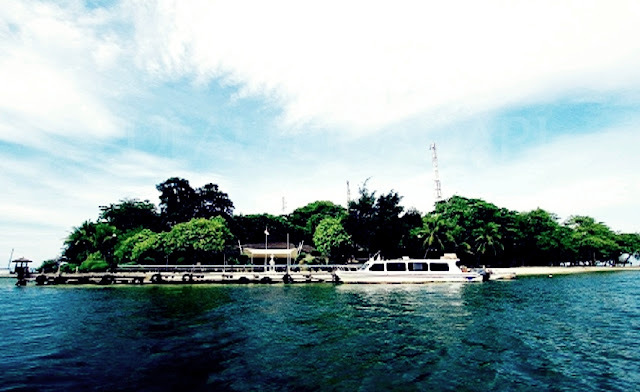 To reach this island, you can travel from Muara Angke Port and take 3 hours. This island is in the middle of the sea cluster of the Thousand Islands. You will find many fishermen and inns on Pramuka Island. Activities that can be done on this island include fishing, snorkeling, diving, canoeing or just enjoying the beautiful coastal scenery. In addition, on this island, you can also see the breeding of hawksbill that certainly can be an unforgettable experience. Jakarta Bay is an area that is one region with Kepulauan Seribu. This tourist spot can be a suitable place to eliminate fatigue. Activities that you can do in this resort is one of them is to rent a boat to get around. In Jakarta Bay tour you can rent a boat from Ancol or can also use fishing boats owned by the fishermen located in Gong Bay, Tangerang. In addition to get around, here is also available cottages that you can rent to spend the night. Do you want to see the beauty of coral reefs? 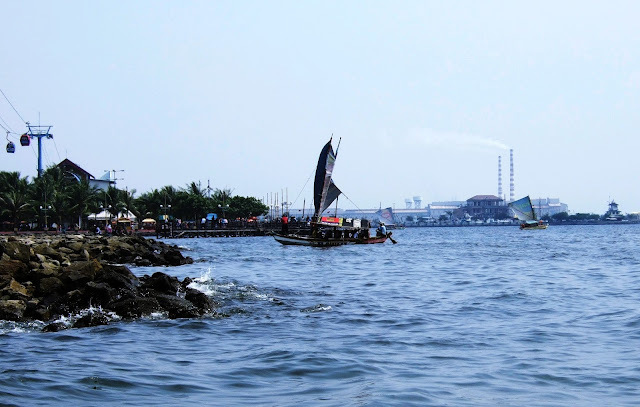 You can try to snorkel in the shallow sea of Jakarta Bay. Origin Pari island name is because it has a shape similar to the Pari fish when viewed from above. 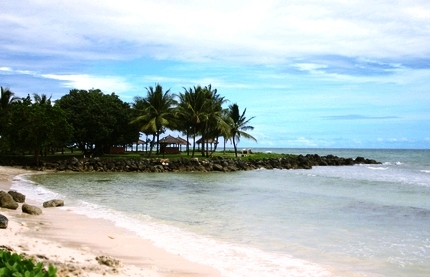 With a view of soft white sand and a quiet beach area, this island is also suitable for you who like the tranquility. In addition, Pari Island is also an area of LIPI Marine Research Center. If you want to come to this island, can start from the Marina Marina Ancol or Muara Angke Port which travel takes approximately 1 to 1.5 hours by using a speed boat. Or also from the island of Lancang, Pulau Rambut, Pulau Tidung and Pramuka Island which will take a shorter trip for 30 minutes only. Located about 30 km west of Jakarta or precisely located in Serang, Banten. 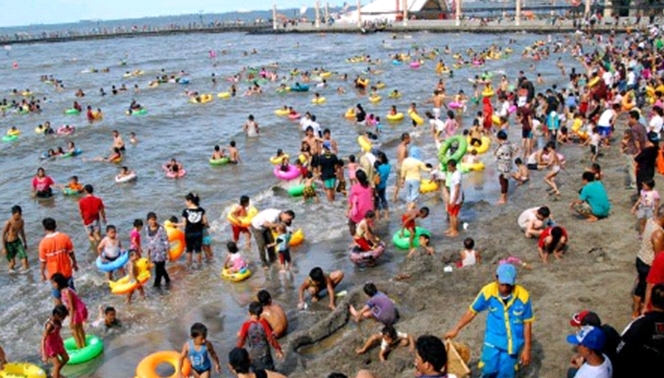 This beach is also one of the beaches of Jakarta frequented by tourists from Jakarta and surrounding areas. Anyer Beach becomes a fitting tourist destination for the holidays because of beautiful beaches and available tourist accommodation facilities are quite complete. You can also see the view of Mount Rakata, the son of Krakatoa Mountain towering behind the sea from this coastal area. Not only that, in Anyer Beach there is also a lighthouse that is a relic of the Dutch colonial government. 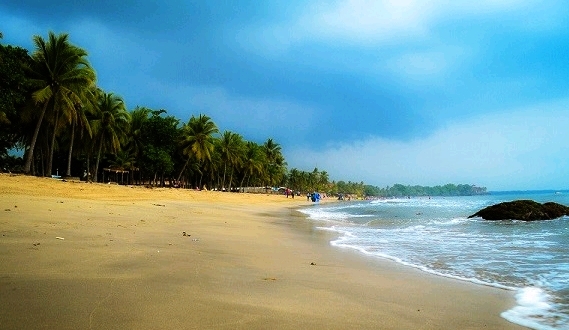 This beach is also located in Banten precisely in Pandeglang District. 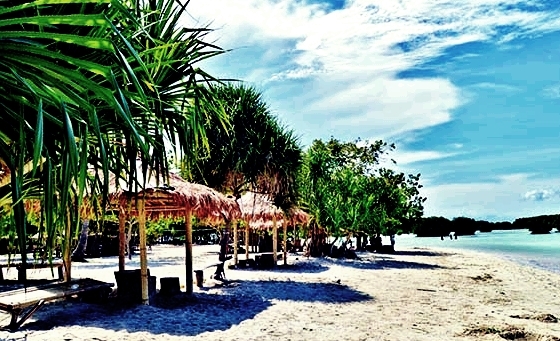 Surely for you who live in Jakarta and surrounding areas are familiar with this beach. The blend of charming white sand and blue sea water is the privilege you will encounter here. In Carita Beach area there are many inns or villas for overnight stays, and also available other entertainment facilities. Sawarna beach is a fairly natural beach, because it is still not managed and developed. There are three beach areas that must be visited when you are at this Beach Sawarna Karang Ciantir Beach, Beach Bokor, and Beach Taraje Coral. The activities you can do at this panta are diving or cave tubing, as this beach has many limestone caves that you can explore. There is also a homestay that has been provided for you who want to stay in this beach area.